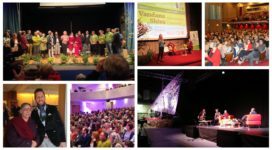 Navdanya, along with movements and organisations from 30 countries around the world joined together at the 2017 International meetings of resistances against GMOs, which took place in Lorient , Brittany, France, from 28 – 30 of April 2017. This meeting continued the work started in Ouagadougou (Burkina Faso) in April 2016, as well as at the Olympic Seed Freedom Festival in Greece from 20 – 22 April. 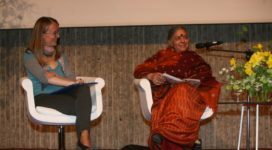 It is also part of the global mobilization which was initiated last October during the People’s Assembly and the Monsanto Tribunal in the Hague, co-organised by Navdanya, along with multiple civil society organisations. Taking inspiration from the dialogues developed at the People’s Assembly in The Hague, objectives and shared strategies were defined through the various workshops: Convergence of struggles, Laws on Seeds – GMOs and Farmers’ rights, Pesticides, Seeds and Agroecology. A final Declaration of the International meeting of resistance against GMOs was drafted, as well as the creation of the International Front of resistances to GMOs and Agrochemicals. Among the participants and now members of the International Front of Resistances to GMOs and Agrochemicals: Ruchi Shroff, Navdanya International, Ali Tapsoba, Terre à Vie/FASA – Burkina Faso, Matthieu Le Breton, Faucheurs Volontaires d’OGM – France, Mr Noufou, Federation Nationale des Groupements NAAM – Burkina Faso, Blandine Sankara, Yelemani/FASA, Lilia Ghanem, Social Forum of Lebanon, Vasso Kanellopoulou, Peliti – Greece, Graciela Gasperi, MAELA Argentina, Jacqueline Furquim Pivato – Brazil, Milton Puertas – Colombia, Chito Medina, MASIPAG – Philippines, Nina Holland, Corporate Europe Observatory, René Louail, Confédération paysanne/Paysans du Monde, Guy Kastler, Via Campesina Europe/Confédération Paysanne, Hervé le Gal and Reun Bideault, Ingalan, Arnaud Apoteker, Monsanto Tribunal, Marie Duval, Prends en de la graine, Yvon Le Guen and Franciska Soler, Faucheurs Volontaires. 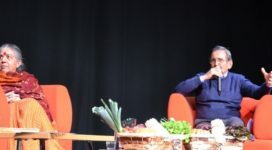 Movements across the world have already joined this renewed “Call to Action against the Corporate Takeover of our Food and Health” and events and actions have been organised along the month of April and beyond. 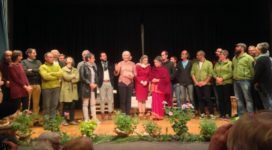 Navdanya has been working to resist the industrial model of agriculture based on GMOs, monocoltures and agrochemicals over the last 30 years, working with citizens’ movements and grassroot organizations, NGOs and governments. Navdanya is also working on preserving biodiversity, by starting 124 community seed banks across India and by training farmers in agroecology.